The 886,000-square-foot Beverly Center first opened in 1982, in true Los Angeles fashion, on the site of a former children’s amusement park and next door to an active oil drilling site. 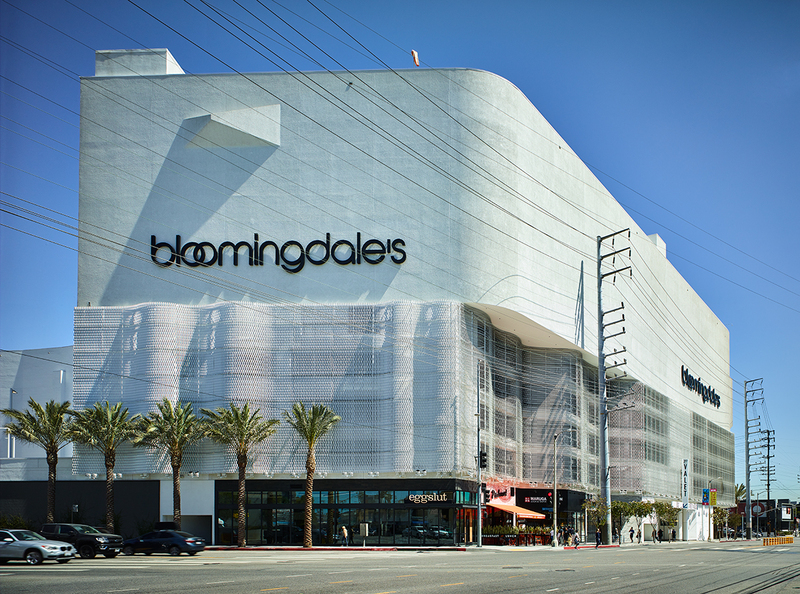 Critic Aaron Betsky, appraising the structure ten years later in the Los Angeles Times, consecrated the blob-shaped mega-mall as “the Acropolis of shopping, dedicated to our national religion, consumption.” A new luxury-oriented $500 million overhaul by Studio Fuksas has only made that description more apt. The eight-story edifice has undergone a midlife facelift that includes the addition of an undulating aluminum mesh facade over the building’s five above-grade parking levels. The expanded metal veil billows around the hulking mass, disappearing to mark three monumental entrances and a pair of glass-wrapped escalator bays. 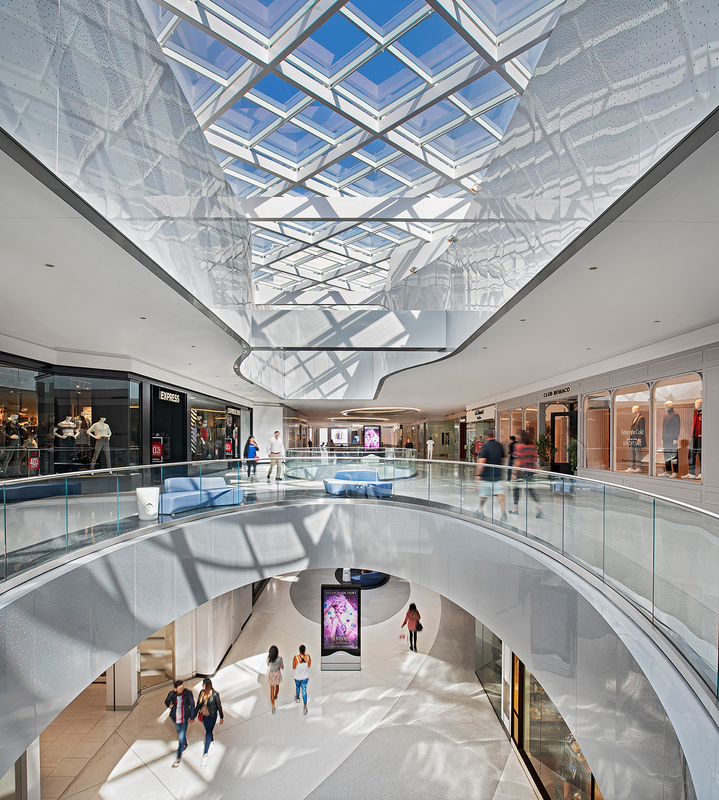 The mall itself is laid out along the building’s top three floors, where a new 25,000-square-foot skylight and other reconfigured vertical openings bring crisp, white sunlight into its gleaming halls.